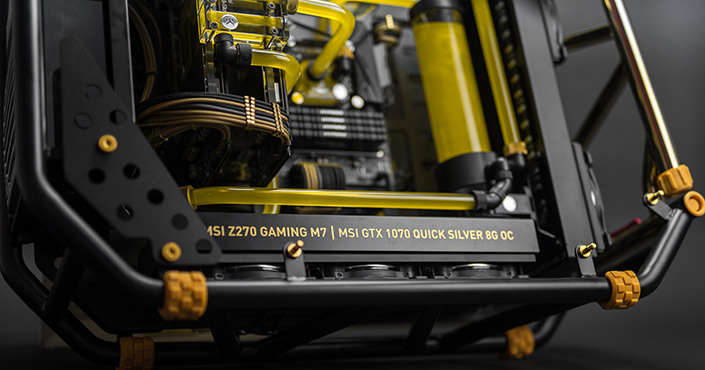 Even though soft tubing is considered to be the beginner’s option, we cannot claim that it’s much easier to use than hard tubing. Some bends are just impossible to pull off with soft tubing. 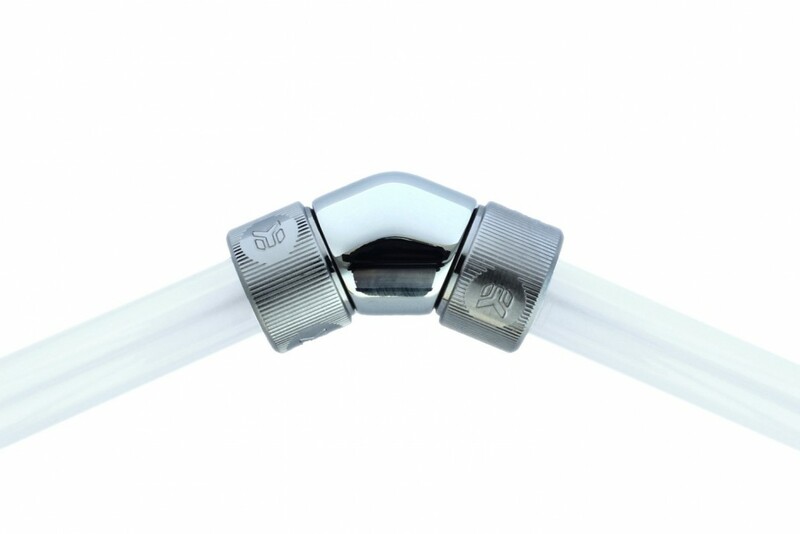 We have talked about various types of tubing in our “Fittings and tubing guide” where we mentioned the kinking effect on soft tubing. Soft tubing kind of “has a mind of its own”. It tends to go its own way… and if you make a bend too tight, the tube will collapse and stop the flow of coolant. With hard tubing, you don’t get the return tension that you get from elastic soft tubing. Hard tubing allows you to create a loop exactly like you want it to be, and that is why it’s preferred by more demanding users. 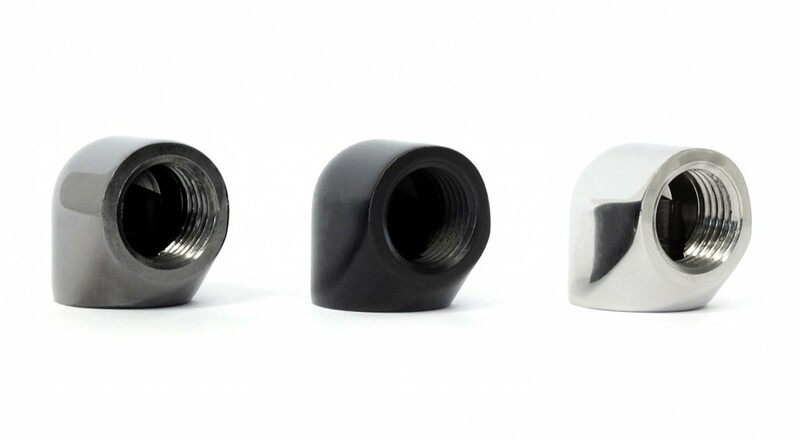 Regular rotary 45° and 90° angled adapter fittings are limited to certain requirements and situations. 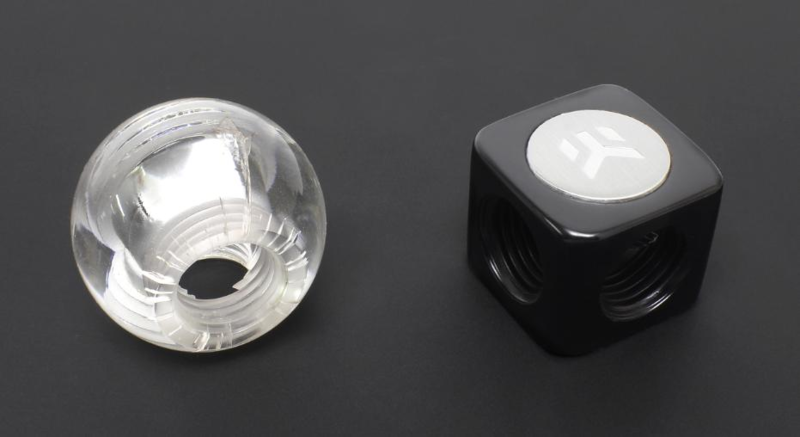 They offer the needed flexibility when you are building your loop, whether you are using soft or hard tubing. But 2F adapter fitting can really be helpful when you are basing your loop on hard tubing. First off, what does “2F” mean? Fittings are often marked or described by several key specifications. 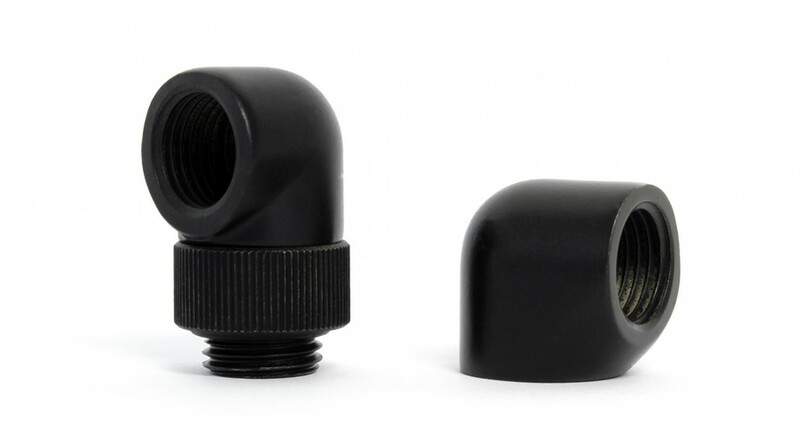 The type of thread they are using, G1/4”, is the widely accepted standard in liquid cooling. If it’s an angled adapter fitting, the angle will be specified as well. 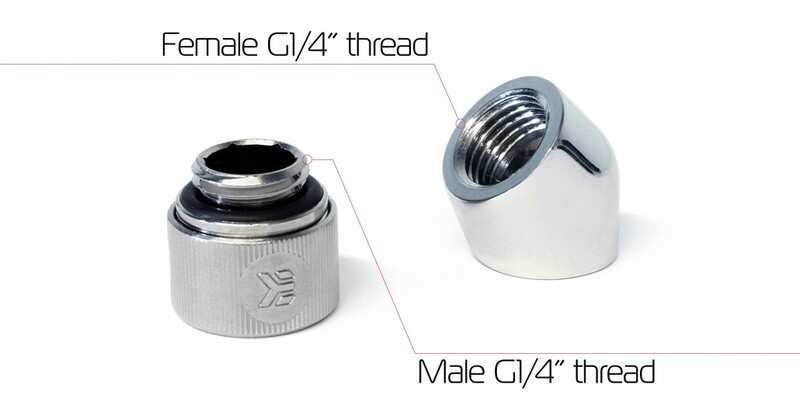 Finally, either the name or description of the fitting itself lets you know the type of the G1/4” thread, whether it’s male or female. This brings us to our new 45° and 90° angled 2F adapter fittings, where the “2F” marking means that it has female inlets from both sides. Tight bends don’t have to be tight bends anymore! 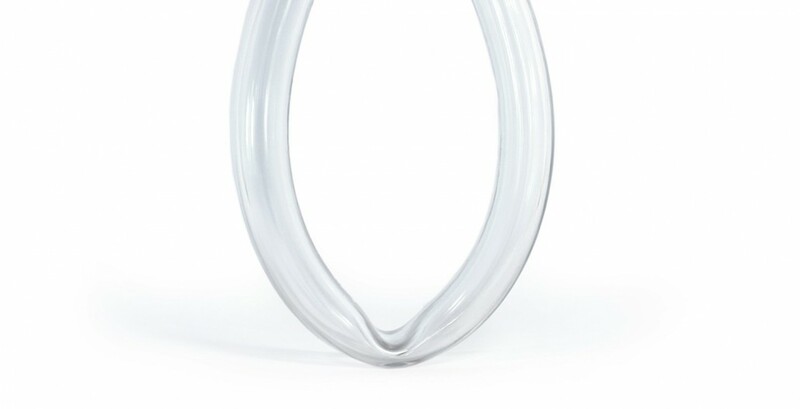 Even with hard tubing, which has the advantage over soft tubing, you are restricted to a certain radius of bending. 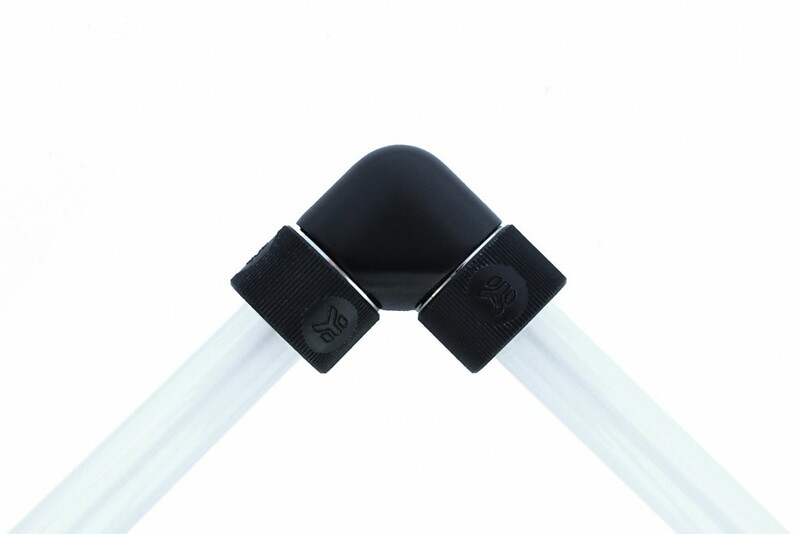 By using a 2F angled adapter fitting, you are eliminating the radius of the bend, and therefore it becomes possible to make bends without bending. In the end, it often comes down to the personal choice and aesthetics. You can get the same result with a different approach. The use of 2F angled adapters is not dictated only by your needs. It’s something you can choose to make your build look special and distinctive. 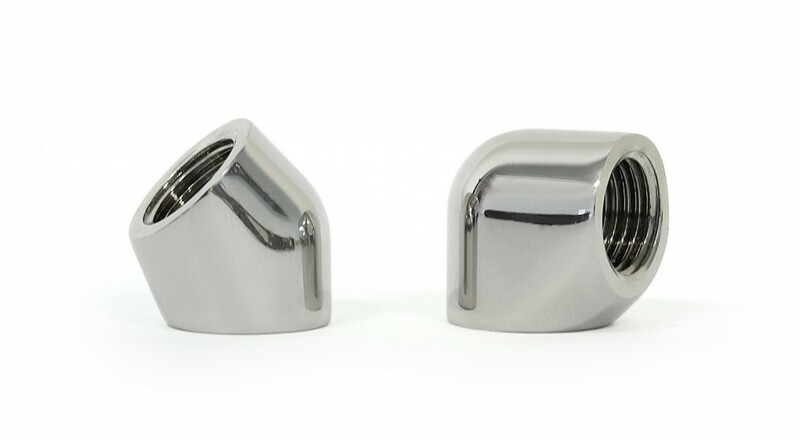 All there is left for us is to wait and see some exciting and attractive liquid cooling loops that you will build with our new 45° and 90° angled 2F adapter fittings. Make them clear then we’ll talk…Great idea but I make my bends and rather not have my loop interrupted by adapters which disrupt the smooth looking flow of colored liquid coursing through the petg….